Beer, Bourbon, Pizza and Hummus? So last week was not a shining example of restraint. Pizza and drinks with the girls at Sette, catching up with Ellen (from the $4.23 Challenge) and Erica, then the Beer, Bourbon and BBQ Festival on Saturday. Oh the Gluttony. 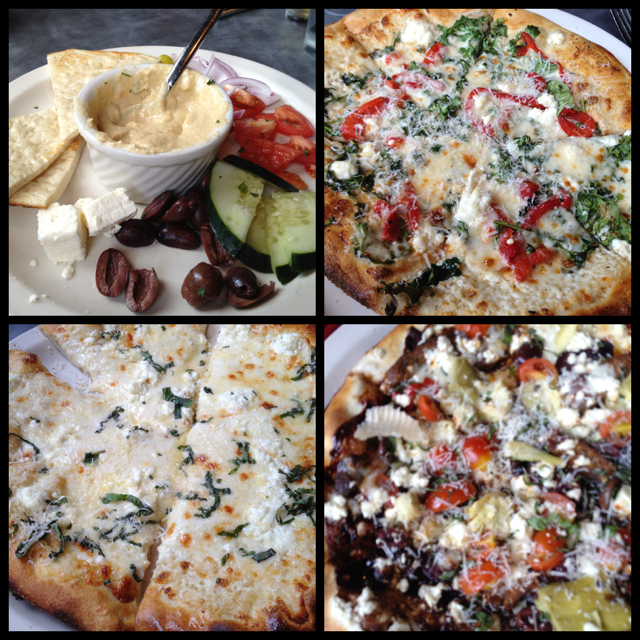 Wednesday night was Sette; brick fired pizza, salads, lots of great appetizer choices. We started off with the hummus platter which was plenty for the 4 of us. Everyone decided to get a pizza so we could share (and take home leftovers). It was “wine glass Wednesdays” so all wines by the glass were $2 off (see more of their great specials here). Great specials, good pizza, off street parking and a lovely space, I will definitely go back. Drinks and appetizers with Ellen and Erica on Thursday (always fun), and then Saturday was “Beer, Bourbon and BBQ”. Obviously I didn’t eat the BBQ, though there were great vendors including SausageCraft, Halligan Bar and Grill, and the Infamous Buz and Ned’s. I took a ‘when in Rome approach to trying bourbon ( I am not a bourbon drinker) and tried 2 bourbons, the Maker’s Mark 46 and the Knob Creek Single Barrel Reserve. Both were “smooth” and I think I may try a bourbon cocktail or two in the future. 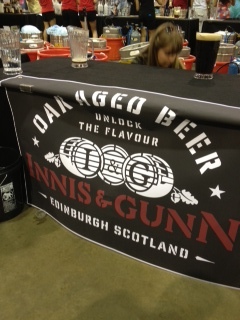 My favorite beer that day was the Innis and Gunn Rum Cask and the Southern Tier Brewing Iniquity; I will be on the look out for both at my local wine and beer shop. Here is a list of the Beer and Bourbon that was out for sampling. After a little running around Sunday it was time to do a little cooking at home. I have been on a hummus kick, but I wanted to try something different. So Edamame Hummus sounded like a plan. 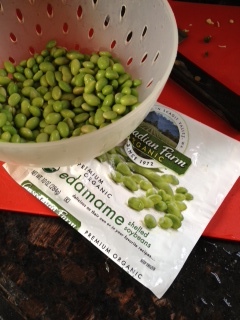 In a large pot of boiling salted water cook the edamame for 4-5 minutes. Drain and rinse with cold water to stop the cooking. 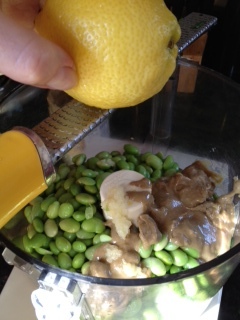 Add the edamame to the food processor with the tahini or sunflower butter, water, zest and juice of the lemon, cumin, salt and pepper. Blend while steaming in oil. Add cilantro ( I used a small handful of leaves) and srichacha to taste and process till smooth. you may need to add a little more water if the consistency seems too thick. Transfer to a bowl and chill, or eat right away like I did with veggies or tortilla chips. This will keep covered in the fridge for a day or two. ← Food Festivals, Philadelphia and Farro? 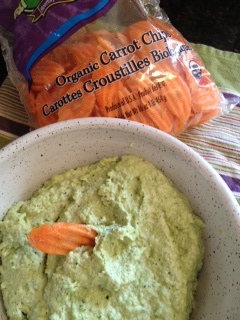 Ohh I've had the edamame hummus from Strawberry St. Cafe but I've never tried making my own! This is a great idea!